Sun., 9 Feb. - Tue., 25 Feb.
See all 6 properties in Malabo Intl. 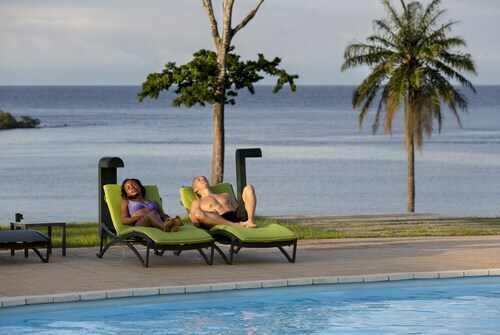 Situated near the airport, this hotel is 2.9 mi (4.6 km) from Malabo City Hall and 2.9 mi (4.7 km) from Universidad Nacional de Guinea Ecuatorial (UNGE). Cathedral de Malabo and Estadio Internacional are also within 6 mi (10 km). Situated in Malabo, this hotel is within 6 mi (10 km) of Malabo City Hall, Universidad Nacional de Guinea Ecuatorial (UNGE), and Cathedral de Malabo. Estadio Internacional is 4.4 mi (7.1 km) away. 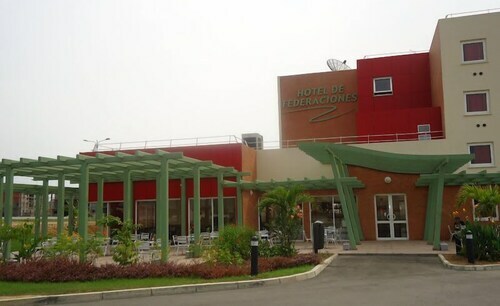 Situated near the airport, this hotel is within 3 mi (5 km) of Malabo City Hall, Universidad Nacional de Guinea Ecuatorial (UNGE), and Estadio Internacional. Cathedral de Malabo is 2.4 mi (3.9 km) away. 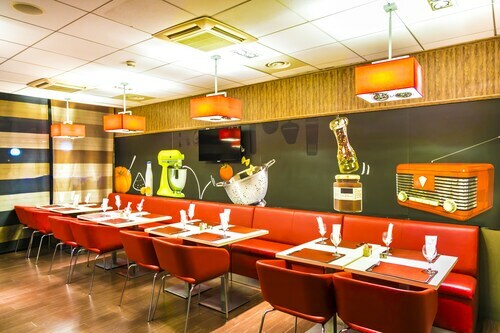 Situated in Malabo, this hotel is within 3 mi (5 km) of Universidad Nacional de Guinea Ecuatorial (UNGE), Estadio Internacional, and Malabo City Hall. Cathedral de Malabo is 2.5 mi (4 km) away. Situated in Malabo, this luxury hotel is within a 15-minute walk of Cathedral de Malabo and Malabo City Hall. Estadio Internacional and Universidad Nacional de Guinea Ecuatorial (UNGE) are also within 2 mi (3 km). 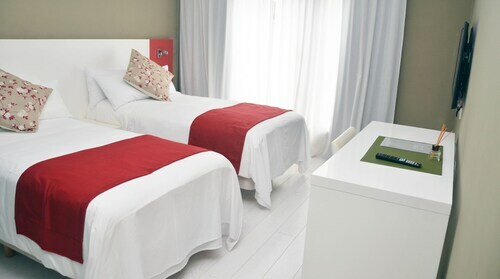 Located in Malabo, this beachfront hotel is connected to the convention center and within 12 mi (20 km) of Cathedral de Malabo, Estadio Internacional, and Malabo City Hall. Universidad Nacional de Guinea Ecuatorial (UNGE) is 10.7 mi (17.3 km) away.